1,3,5-Tris(4-aminophenoxy) benzene (TAPOB) and 2,2-bis [4-(3,4-dicarboxyphenoxy) phenyl] propane dianhydride (BPADA) were used to synthesize an amino-terminated hyperbranched polyimide (AM-HBPI). Then, the 2-methacryloyloxyethyl phosphorylcholine-modified hyperbranched polyimide (HBPI-MPC) was obtained through the graft modification of MPC onto AM-HBPI by Michael addition. The infrared spectroscopy and X-ray photoelectron spectroscopy spectra showed MPC molecules were successfully grafted onto the HBPI molecules. The HBPI-MPC films exhibited slightly decreased thermal stabilities with 5% weight loss temperature in the range of of 418–483 °C in nitrogen, compared with the pure HBPI film. With the increase of MPC grafting amount, the static water contact angles decreased from average 84.0° of the pure HBPI film to average 45.0° of the HBPI-MPC film with 20% MPC. Meanwhile, the increased surface roughness of the HBPI-MPC films increased the contact areas with the platelets, enhancing their anticoagulant efficiency. The number of platelet adhesion declined and the shape of platelet changed from flat to round. 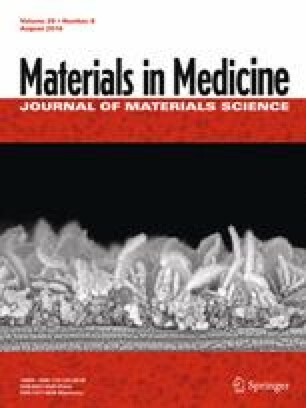 The recalcification times grew from average 300 s of pure HBPI to average 551 s of the HBPI-MPC film with 20% MPC, indicating improved anticoagulant properties and biocompatibility. Bacterial adhesion test also demonstrated the number of bacterial adhesion was significantly reduced and antibacterial properties were improved. Thus, the HBPI-MPC films have great application prospects as biomedical anticoagulant materials. These authors contributed equally: Qing Li, Jing Li. The research was financially supported by the Natural Science Foundation of Hubei Province (2013CFB007), Hubei, China. Meanwhile, authors also acknowledge the Ministry of Education Key Laboratory for the Green Preparation and Application of Functional Materials for providing necessary facilities. Zhang Y, Yu J, Wang J, Hanne NJ, Zheng C, Qian C, et al. Drug delivery: thrombin-responsive transcutaneous patch for auto-anticoagulant regulation. Adv Mater. 2017; https://doi.org/10.1002/adma.201604043. 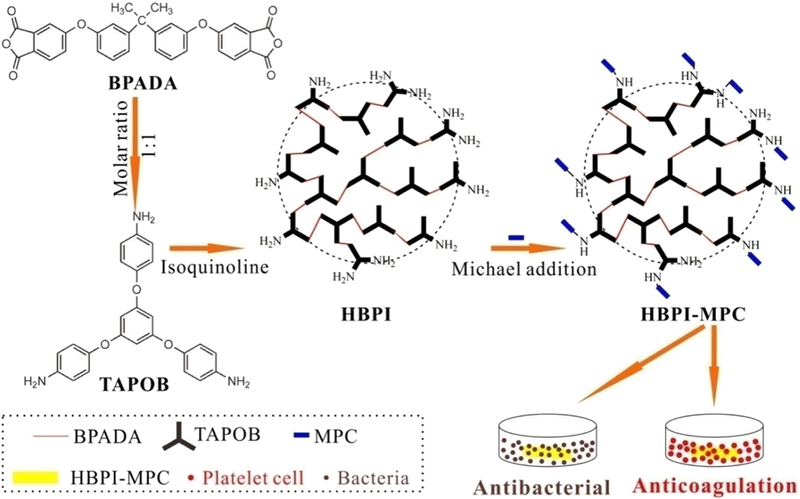 He M, Cui X, Jiang H, Huang X, Zhao W, Zhao C. Super-anticoagulant heparin-mimicking hydrogel thin film attached substrate surfaces to improve hemocompatibility. Macromol Biosci. 2017; https://doi.org/10.1002/mabi.201600281. Amoako KA, Sundaram HS, Suhaib A, Jiang S, Cook KE. Multimodal, biomaterial-focused anticoagulation via superlow fouling zwitterionic functional groups coupled with anti‐platelet nitric oxide release. Adv Mater Interfaces. 2016; https://doi.org/10.1002/admi.201500646.